Flooring 101: Should I Hire a Contractor to Install my Flooring or do it Myself ? Taking a DIY approach to home improvements can be extremely gratifying; however, some tasks are best left to the experts. Flooring installation can be particularly challenging, so consider the following factors before deciding whether or not to try doing it yourself. While you can certainly save a lot of money on labor by installing your flooring yourself, it won’t necessarily mean that you save money on the project overall. Unless you happen to have all the tools you need already or can borrow them from friends you will need to either rent or buy them, which, depending on the type of flooring you are installing, can be quite expensive. You will also likely need to pay more for equipment and related supplies than a contractor would, as they often get contractor discounts as well as save money by buying in bulk. If you have plenty of time on your hands installing your own flooring can be a very satisfying experience; however, if you need that job done sooner rather than later you are best to leave it to the experts. Rushing a job you haven’t been trained to do will drastically increase the chance of mistakes or accidents and any setbacks will only add to that already lengthy timeline. 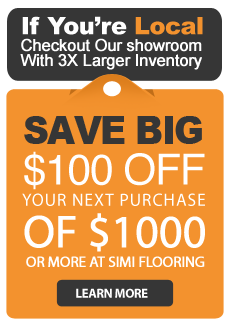 If you decide to install your own flooring be sure to allow plenty of time. If you want your floors to look good for as long as possible, call in the experts, because no one will do the job better than those who have the experience and training to handle it. While some floors are easier to install than others, trickier surfaces, such as tile and hardwood, take years to master. If you are redoing the flooring in a part of your home that doesn’t need to be perfect, such as an area that few will even see, doing it yourself can be a good option, but if it is in a highly visible part of your home you are best to invest in a professional. Similarly, if you are upgrading your floors in order to boost the value of your home it is well worth investing in professional installation. Some flooring materials are covered by a warranty guaranteeing their performance; however, often this requires that the flooring be professionally installed and inspected. Installing your flooring yourself can therefore mean that your warranty is voided, so be sure to check the fine print before starting the job yourself. Regardless of whether you choose to install your own flooring or have it done professionally, do your research first. You won’t want to get halfway through the job only to realize you are way out of your depth.